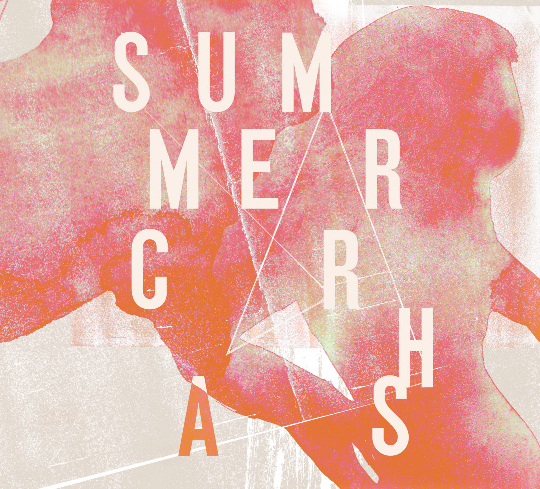 Summer Crash was recorded during Maya Dunietz and Tom White’s short UK tour last August by Karl Sveinsson at Queens Ark Audio in Manchester. It was mastered by Jack Allett and has artwork by Andrea Kearney. Maya Dunietz is a pianist, composer, improviser and singer, born in Israel in 1981. Her work ranges between solo performances, composing for various ensembles around the world, writing for theatre, creating sound installations, building strange electronic instruments and singing in various styles, among them heavy metal, kleizmer and contemporary classical music. Tom White’s work traverses multi-media platforms including sound, experimental film and video, installation and live performance. He has exhibited and performed internationally and published many sound works since 2009 (Vitrine, Chocolate Monk, My Dance the Skull, Alien Passengers). In 2014 he won the British Composer Award in Sonic Art for his piece Public Address, commissioned by the South London Gallery.